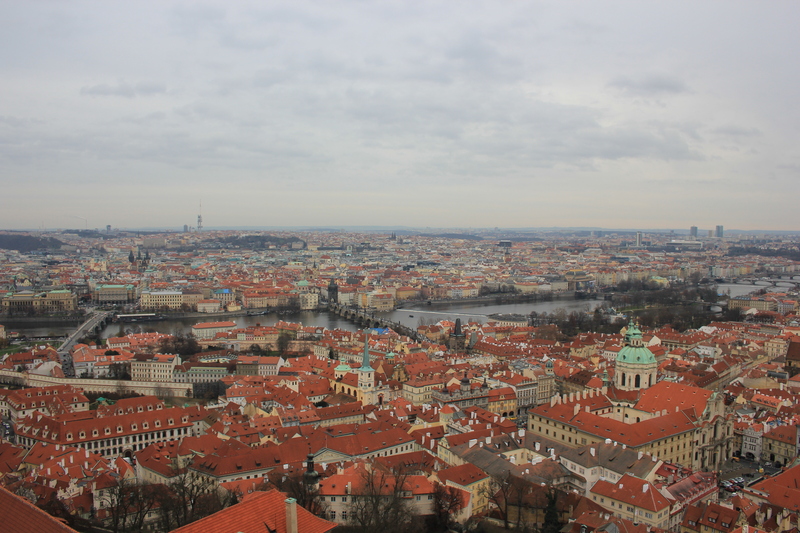 Prague Castle occupies 70,000 m². For those antiquated imperialists who can’t envisage metric areas that’s 17 acres, and to any old imperialist that makes it the largest ancient castle in the entire world. 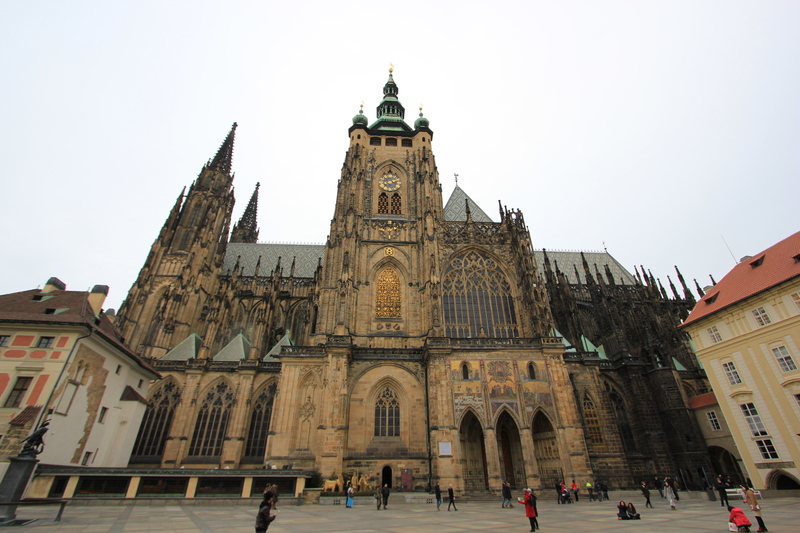 It is really a village inside the castle walls, and at its heart lies St Vitus’s Cathedral. It is beautiful from all sides. 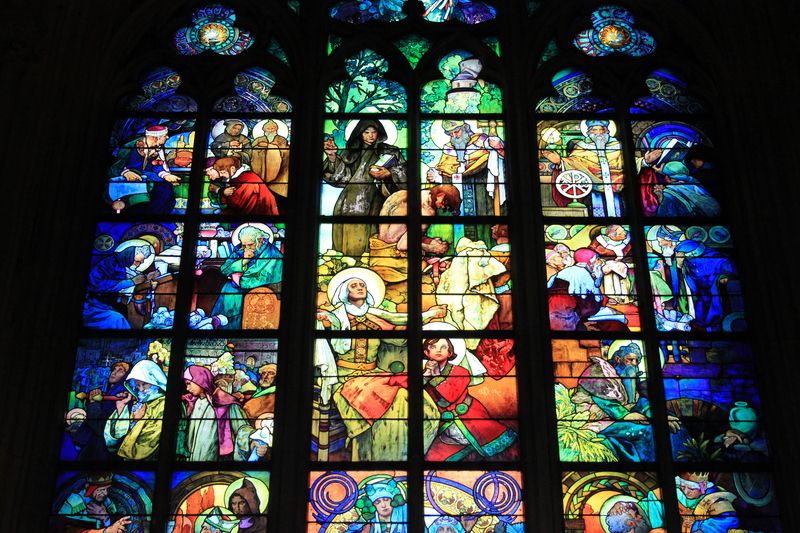 St Vitus’s Cathedral is world-renowned for its stained glass windows. There are lots of them to admire, but one caught my attention in particular. I had something of an epiphany as I gazed at this window; a Christopher Walken epiphany! 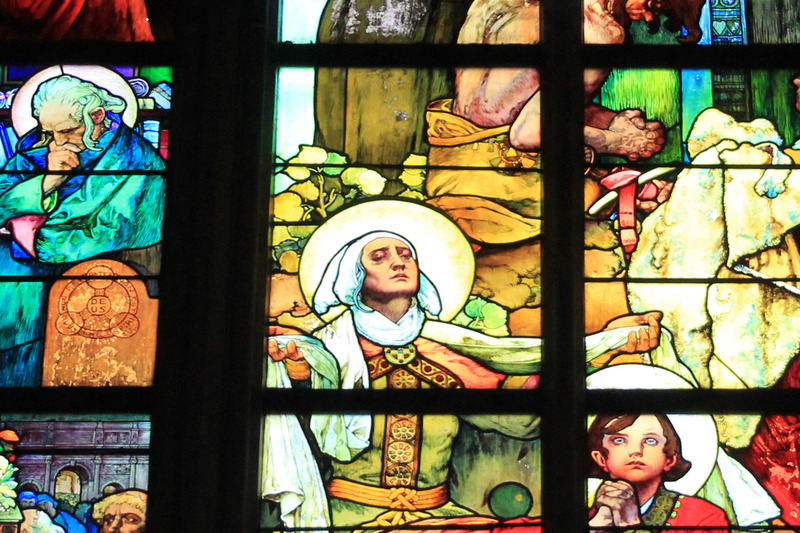 For although this cult icon of the cinema was only born in 1943 he appears slap bang in the middle of a stained glass window dating from the 19th Century! No? Are you sure? Look! I’ve never had a Christopher Walken epiphany before. In a state of extreme agitation and excitement I sent a text message and photo to my brother Alex. In an equal state of excitement Alex sent me a reply, laced with heresy: “Underwhelmed doesn’t even begin to describe how disappointed I am”. The cathedral’s tower is on its southern side of the building and offers a variety of great views. Looking southeast there are superb views across the Lesser Town and into the Old Town. You can see the Žižkov Tower in the distance. It’s just the view you need to contemplate the meaning of a Christopher Walken Epiphany. 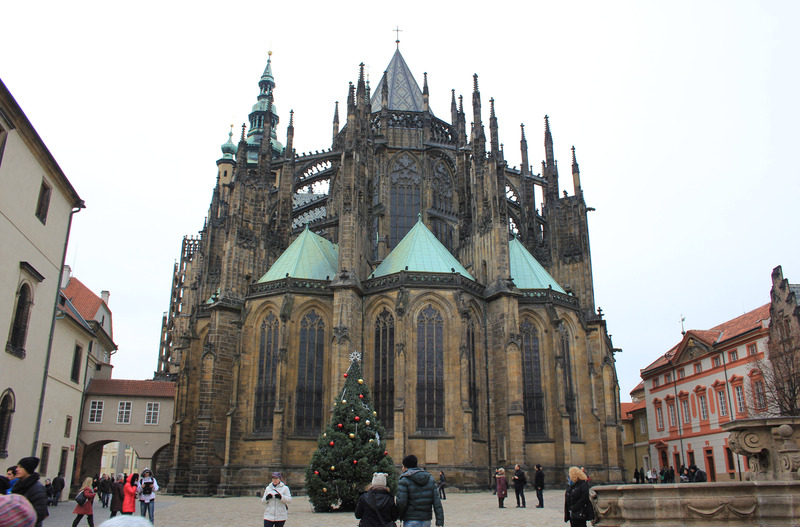 This entry was posted in Czech Republic and tagged Christopher Walken, epiphany, Prague, Prague Castle, St Vitus's Cathedral, stained glass window, travel, views. Bookmark the permalink.